We've collected together the most insightful, harrowing and thought-provoking books on one of the most notorious conflicts of the 20th century. On the first day of The Battle of the Somme the British suffered more than 57,500 casualties and by the time it ended, in November 1916, more than one million men had been wounded or killed. We've collected together the most insightful, harrowing and thought-provoking fiction and non-fiction books on one of the most notorious conflicts of the 20th century. On 1 July 1916, after a five-day bombardment, 11 British and 5 French divisions launched their long-awaited 'Big Push' on German positions on high ground above the Rivers Ancre and Somme on the Western Front. Some ground was gained, but at a terrible cost. German machine-guns - manned by troops who had sat out the storm of shellfire in deep dugouts - inflicted terrible losses on the British infantry. Andrew Roberts evokes the pity and the horror of the blackest day in the history of the British army in the words of casualties, survivors, and the bereaved. Distinguished military historian, Malcolm Brown, offers a remarkably fresh perspective on the bitterly fought 1916 campaign and also describes the later battles of the Somme in the Great War's final year, 1918. Using hitherto unpublished evidence from the archives of the Imperial War Museum, it tells its powerful and dramatic story through the letters and diaries of those who were there. Now over 20 years old, Macdonald’s bestselling history of the battle was pioneering in its efforts to let the men who were there give their own testimony. Their stories are vivid, harrowing, sometimes terrifying - yet shot through with humour, immense courage and an astonishing spirit of resilience. Peter Hart describes how the battle looked from the point of view of those who fought it. Using never-before-seen eyewitness testimonies, he shows us this epic conflict from all angles. We see what it was like to crawl across No Man's Land in the face of the German guns, what it was like for those who stayed behind in the trenches - the padres, the artillerymen, the doctors. We also see what the battle looked like from the air, as the RFC battled to keep control of the skies above the battlefield. All this is put in the context of the background to the battle, and Haig's overall strategy for the Western Front. A new history of the battle, published in time for the centenary, which makes use of the soldiers’ own photographs to illustrate both the campaign’s extraordinary comradeship and its carnage. Many of the letters collected here are eloquent declarations of love and longing; others contain wrenching accounts of fear, jealousy and betrayal; and a number share sweet dreams of home. But in all the correspondence - whether from British, American, French, German, Russian, Australian and Canadian troops in the height of battle, or from the heartbroken wives and sweethearts left behind - there lies a truly human portrait of love and war. A century on from the start of the First World War, these letters offer an intimate glimpse into the hearts of men and women separated by conflict. It often seems as though more writers and poets fought in The Somme than in any other battle in history. The work of the soldier poets and writers who served at the Somme, Siegfried Sassoon, Robert Graves and Wilfred Owen to name but a few, has informed the popular understanding of this dreadful historical event ever since. Published to mark the centenary of the First World War, this is a moving and powerful collection of poems written by soldiers, nurses, mothers, sweethearts and family and friends who experienced WWI from different standpoints. 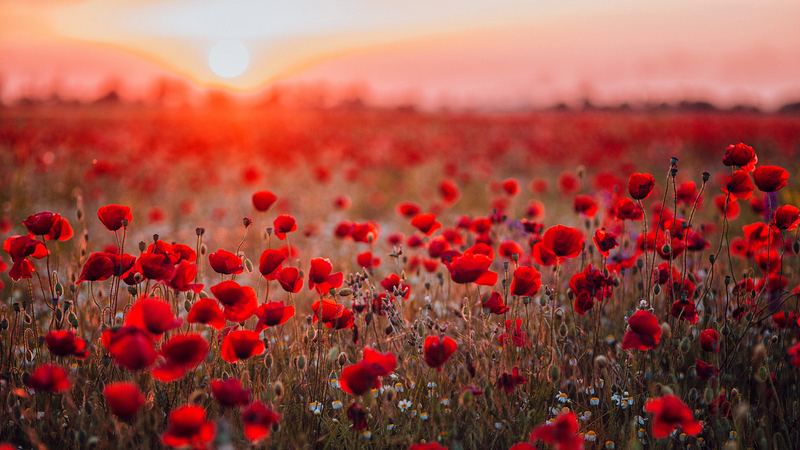 While the First World War devastated Europe, it inspired profound poetry – words in which the atmosphere and landscape of battle are evoked perhaps more vividly than anywhere else. The poets – many of whom were killed – show not only the war’s tragedy but the hopes and disappointments of a generation of men. In Some Desperate Glory, historian and biographer Max Egremont gives us a transfiguring look at the life and work of this assemblage of poets. Wilfred Owen with his flaring genius; the intense, compassionate Siegfried Sassoon; the composer Ivor Gurney; Robert Graves who would later spurn his war poems; the nature-loving Edward Thomas; the glamorous Fabian Socialist Rupert Brooke; and the shell-shocked Robert Nichols all fought in the war, and their poetry is a bold act of creativity in the face of unprecedented destruction. This classic novel of the First World War is written in the first person by a young German soldier. Paul Bauer is just eighteen when he’s pressured by his family, friends and society to enlist and fight at the front. He enters the army with six school friends, each filled with optimistic and patriotic thoughts. Within a few months they are all old men, in mind if not completely in body. They witness such horrors, and endure such severe hardship and suffering, that they are unable to even speak about it to anyone but each other. The second volume of Siegfried Sassoon’s semiautobiographical George Sherston trilogy picks up in 1916, with the young Sherston deep in the trenches of WWI. For his decorated bravery, and also his harmful recklessness, he is soon sent to the Fourth Army School for officer training, then dispatched to Morlancourt, a raid, and on through the Somme. After being wounded by a bullet through the lung, he returns home to convalesce, where his questioning of the war and the British Military establishment leads a medical board to deem him to be mentally ill and suffering from shell-shock. Sassoon’s stunning portrayal of a mind coming to terms with the brutal truths he has encountered in war is amongst the greatest books ever written about World War I.
Whilst not directly about the Somme, Rebecca West’s story of a shell-shocked, amnesiac soldier returning from the front, published in 1918, preceded the psychoanalytical writing of the 1920s. West was one of the first writers to voice to the anxieties of women in wartime and grapple with the effects of trauma on those at home as well as the returning soldiers. 1917, Scotland. At Craiglockhart War Hospital in Scotland, army psychiatrist William Rivers treats shell-shocked soldiers before sending them back to the front. In his care are poets Siegfried Sassoon and Wilfred Owen, and Billy Prior, who is only able to communicate by means of pencil and paper. . .
Regeneration, The Eye in the Door and The Ghost Road follow the stories of these men until the last months of the war. Widely acclaimed and admired, Pat Barker's Regeneration trilogy paints with moving detail the far-reaching consequences of a conflict which decimated a generation. Published to international critical and popular acclaim, this intensely romantic yet stunningly realistic novel spans three generations and the unimaginable gulf between the First World War and the present. It is the story of Stephen Wraysford, a young Englishman who arrives in Amiens in 1910. Over the course of the novel he suffers a series of traumatic experiences, from the clandestine love affair that tears apart the family with whom he lives, to the unprecedented experiences of the war itself. Mann famously paused his writing to reframe his novel after the onset of the First World War and the book’s preoccupation with dying young can be seen as as a direct response to the horrors of the Western Front. Hans Castorp is 'a perfectly ordinary, if engaging young man' when he goes to visit his cousin in an exclusive sanatorium in the Swiss Alps.What should have been a three week trip turns into a seven year stay. Hans falls in love and becomes intoxicated with the ideas he hears at the clinic - ideas which will strain and crack apart in a world on the verge of the First World War. Praised for its strict adherence to historical fact, Ken Follett’s epic novel follows five families experiencing life before, during and after the war. We see the Somme through the eyes of Billy Williams, a young Welsh coalminer, Earl Fitzhebert, an aristocratic coal-mine owner, and Walter Von Ulrich, a spy at the German Embassy in London.